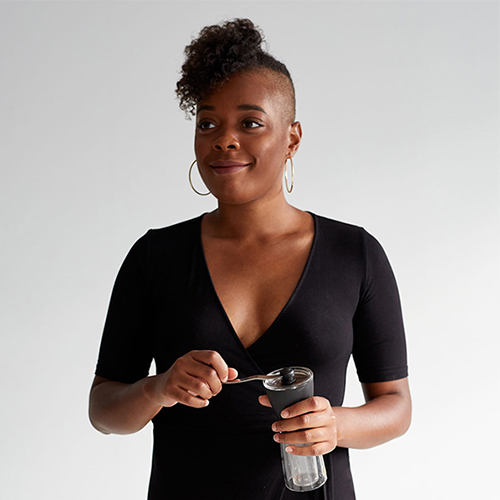 Michelle Johnson, aka The Chocolate Barista, wants to change the coffee world. She fell in love with the caffeinated beverage as a child, sneaking snips from her mom’s mug of Maxwell House, and today she is the leading voice for inclusion and diversity in the specialty coffee scene. She shares everything from her professional experiences to her Barista Jam playlists on her blog, and earlier this year launched Black Coffee: A Dialogue on Race and Coffee Culture. This live podcast event brings industry professionals together to share their stories and their knowledge. Michelle, who was recently living in Melbourne, joins host Kerry Diamond to talk about everything from her early coffee obsession to her activism to latte art throw downs. Grab your brew of choice and settle in for this coffee talk. This episode was recorded at The Wing in Dumbo. Thank you to Le Cordon Bleu, Vital Farms, and Bob’s Red Mill for supporting this episode of Radio Cherry Bombe!